Well, it's been a long time my friends, I don't really know what happened, I think I just lost my mojo and got bored, and stopped blogging, making jewelry, all the things I love to do. But it's all slowly coming back to me, so I'm going to dip my toe into the water and see how it feels. I haven't been making a lot of jewelry lately, I'm really just not sure where I want to go with my business. I still love making jewelry, but the selling part is harder for me -- I'm not great at keeping my etsy shop up to date, advertising, getting into shows, and generally just getting my name out there. But I'm also not really to fold up shop, so I'm going to take it slowly, I've enrolled in a couple of upcoming shows this fall in my area, and we will see where things go from there. One thing that I HAVE been quite passionate about lately, is organizing. I've always been into organizing (not necessarily cleaning, but ORGANIZING). When I worked in an office, I was very good at filing....something most people don't like to do. Give me a label maker and a stack of file folders, and I'm off! When I'm making jewelry, one of the things I love to do most it to label and organize all my beads --- could this be an OCD tendency? I don't know, but it's something that has always sparked passion in my life. So, recently I read a book that has sort of taken things to a whole new level for me. It's called THE LIFE-CHANGING MAGIC OF TIDYING UP by Marie Kondo. I think this book is going to change my life. I've been so inspired to do so much around here, and also inspired to start blogging again, to document my journey in this new chapter. So, keep checking back, I promise to keep things a LOT more current around here and I will keep you posted with what I've been up to! There is something about the New Year that always compels me to organize. Perhaps it's the act of packing up and putting away all of the Christmas decor (which I haven't even done yet, we still have ONE more Christmas celebration with Mr. Limefreckle's family tomorrow). This year, even before the decorations went up, I shifted into purge mode, and started editing my huge Christmas collection. One full car load of decorations that are just taking up space in our garage, and don't seem to get used anymore, made their way to Value Village. When we moved into his house 4 years ago, where to store all the Christmas decor was a BIG problem. We had a huge, unfinished basement in our old house, with unlimited space. Here, not so much. I found that even though I like to change up my decor most years, there were a lot of items that just didn't really "fit" here. So I packed it all up and sent it out for someone else to enjoy. Next I tackled my office/jewelry creating room. Way too many craft supplies that I just don't need. 2015 is going to be the year of simplifying for me. I've pretty much tackled each room in the house, I have a couple of big areas to do this winter, and then we will take on the garage in the spring. Just thinking about having some room out there, and possibly even parking my car in the garage makes me giddy! In celebration of my less is more attitude, I'm also working at clearing out a lot of my stock in my Easy shop. I'm having a 50% off sale everything in the store, if you purchase $50 or more. This sale is lasting till the end of the month, so if you have your eye on something, now's the time! 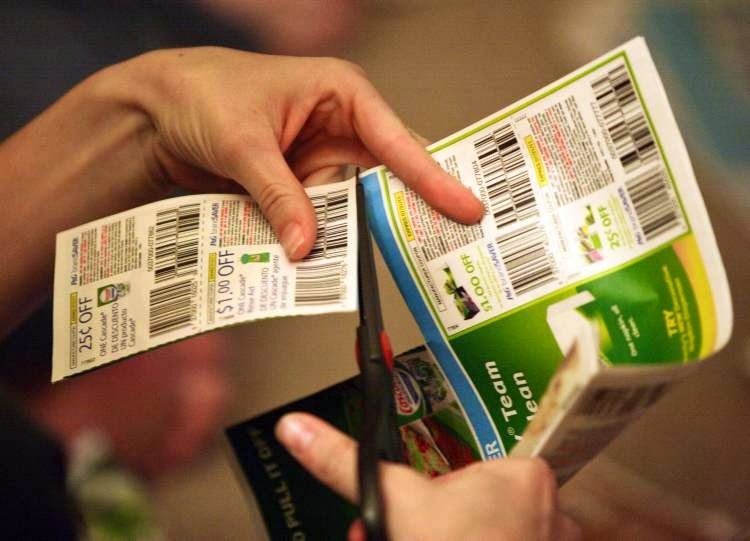 Can you become an Extreme Couponer in Canada? Well here we are, a new year rapidly approaching, time to make some new resolutions. Of course, the same old resolution I make every year will be to lose some weight....nothing changes there! But this year, something new I've decided to focus on, is couponing. I've never been one to pay attention to coupons, flyers, etc. Often I'll stand in line at the checkout and watch people price matching and think to myself "why am I not doing that?" just lazy I guess. I've also often thought that couponing really wasn't worth the time here in Canada, because of the different coupon policies between stores here and stores in the US. A while back I watched an episode on The Marilyn Denis show with 2 Canadian women that showed how to prepare a meal on a budget, using coupons and other various store specials. The episode sparked an interest in couponing, so I visited Extreme Couponing Mom, one of the competitors in this competition. Lots of interesting information on her website, and an affordable ebook ($10) to teach you how to learn to coupon. I ordered the ebook a week ago, thinking I would receive it right away, but so far haven't. Have tried to contact the website owner, and am hoping that eventually I will get the ebook, I'm sure part of the reason this is taking so long is that we had Christmas and Boxing day between today and my order date (December 18th) but if you are thinking of ordering from her in the future, I wouldn't recommend it. There is no reason an electronic transfer should take 10 days from the date you paid for it, holidays between or not! If I ever get the ebook, I'll let you know my opinion of it, but based on my poor experience and lack of customer service (all emails I have personally sent to her so far have gone unanswered) I don't think I could recommend this vendor to anyone. EDITED -- I did finally receive the ebook, after several emails. Her email to me was not very professional and again, would not recommend buying from her. After that disappointment, I kept googling, and found Mrs. January. I can't get enough of her website! She too has an ebook, $17, more expensive than the one from Extreme Couponing Mom, but I decided to go ahead and order it, because I don't think that first ebook I ordered is ever going to show up. Received the link to that ebook seconds after my paypal order was complete. Very impressive, the book is over 100 pages of very useful information, I TOTALLY RECOMMEND THIS EBOOK! I've gotten tons of ideas of how to get going with couponing and she also has a very interesting outline of The Shoppers Drug Mart Optimum plan, which up until now, I have used but not to it's full advantage. It's really made me rethink my shopping habits and patterns. With just a little bit of planning I think I can cut my shopping expenses by a lot. Over the Christmas shopping season, I also discovered that EBATES has arrived in Canada. I've heard about this site before, and if you are the type to online shop, which I am, it's an easy way to make free money. Next time I want to purchase something, I'll be going there first to see if I can order it online. Swagbucks is another site that I always thought you could only use in the US, but it's available to us Canadians now too. Lately I do all my internet searching through swaybacks to earn points. Hard to tell how quickly I will be able to earn, but worth a try. And Lastly, a site that I haven't taken advantage of yet but plan to is Checkout51. Each Thursday the site lists items, if you purchase them you take a photo of your receipt with their smart phone app, and earn points that can be redeemed for cash. Not yet sure if this will be worthwhile, but again, it's worth a try. So that's what I plan to focus on for the New Year. What resolutions have you made? Let's stroll down memory lane, shall we? Happy New Year....and Happy Birthday to me!